Has anyone noticed that something has happened to muffins over time? In many cases they have turned into cakes. I’m not an absolute purist when it comes to things like this, but to me there should be more of a difference between a muffin and a cupcake than the frosting. Am I wrong? These muffins deliver on many levels: taste, texture, and nutrition. The fibre in these is off the charts and they have a minimum of sugar and fat, so we can all feel good about that. What they are not, is bland or boring. They have a decidedly homemade texture to them, and the yogurt and fruit keeps them moist while the tops get crunchy. It’s a win-win. Did I mention that they come together in about 15 minutes and only bake for 30? That means you are less than an hour away from a warm-from-the-oven snack or breakfast. 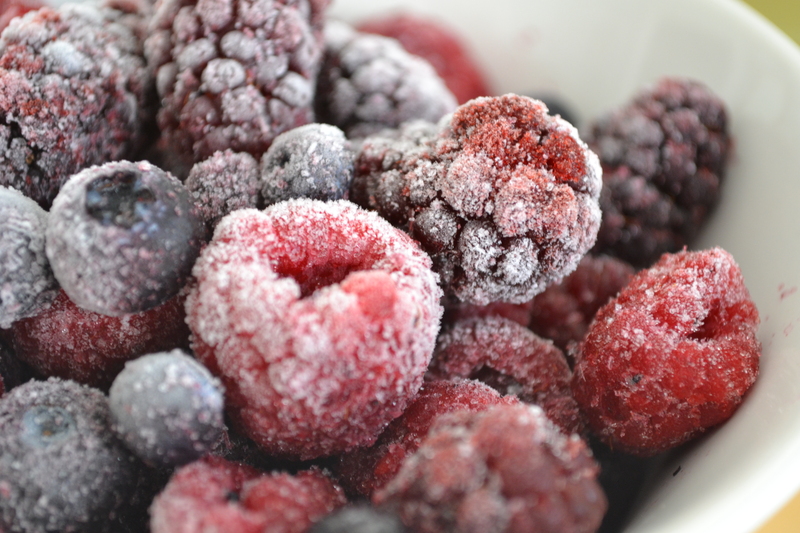 Worth using up your last bag of frozen berries from last summer? Absolutely. Combine the oats and bran cereal. Use a very large bowl because in the end all the batter will end up here. Add the yogurt and stir well. 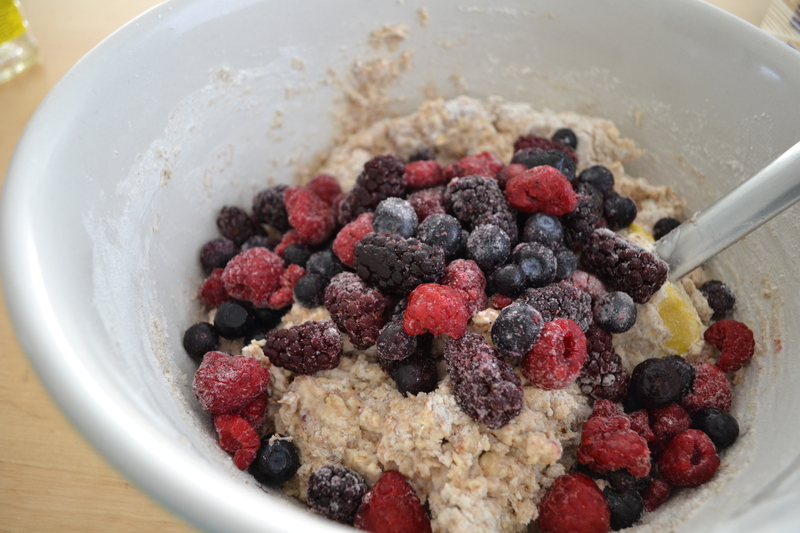 Set this mixture aside for about 10 minutes while you mix the other components of the muffins. 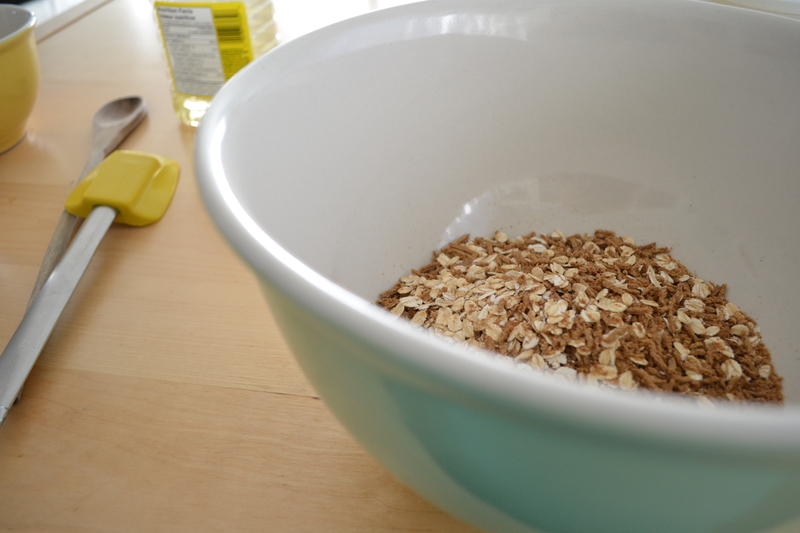 Combine the flour, baking powder and soda, salt and sugar in a bowl. Set aside. Combine the egg, milk, oil and vanilla in a bowl. 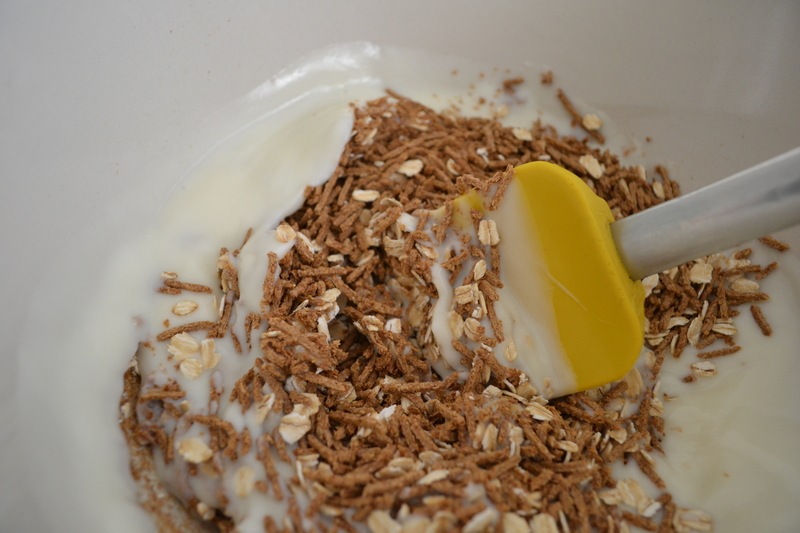 Once the cereals and yogurt have had a few minutes together to soften, add the egg and milk mix into the cereals, stirring well. Now add the dry ingredients. Pour them on top of the wet and stir quickly but only until everything is just barely combined. Don’t over mix. Add your berries, (or other fruit). Stir to combine, but again, don’t over mix. Load up 12 well greased or papered muffin cups. Bake at 375 for 30 minutes (less if the fruit wasn’t frozen). They are done when they are golden brown and a toothpick inserted into their middles comes out clean.